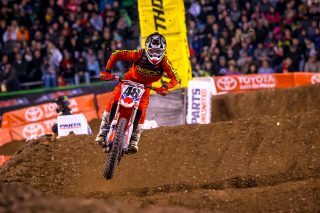 With Team Honda HRC’s Cole Seely sidelined due to a torn adductor muscle and Ken Roczen still out for the season with arm injuries, GEICO Honda rider Christian Craig filled in aboard a factory CRF450R as the squad’s sole rider for round 15 of the AMA Supercross series in Salt Lake City, Utah. 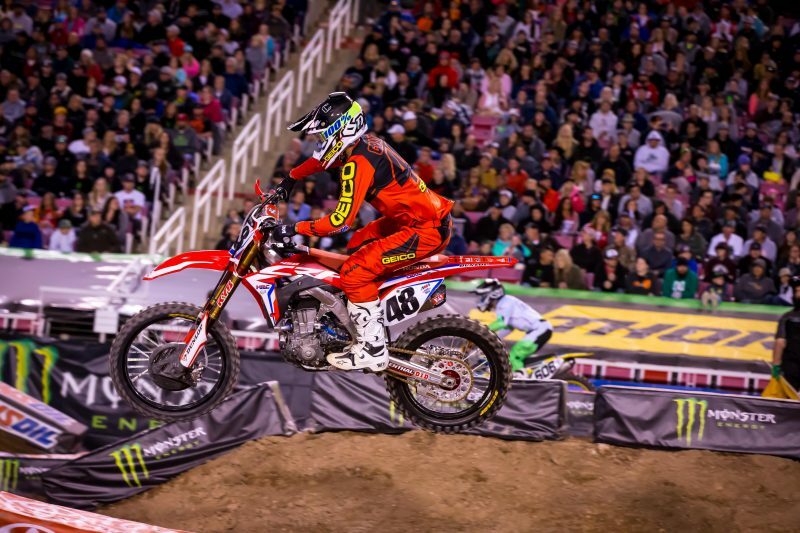 During his first-ever 450SX race, Craig put together a respectable come-from-behind performance to secure 11th. When the gate dropped, Craig was slow off the line and was shuffled toward the back of the pack. After completing the first lap in 18th, the Californian went into recovery mode, moving forward to take the checkered flag just outside the top 10. 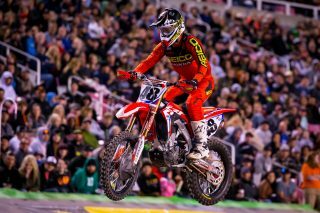 On Friday night, Team Honda HRC’s Cole Seely was joined by GEICO Honda riders Christian Craig and Jimmy Decotis for an autograph session at Honda World in South Jordan, Utah, where they spent time hanging out with fans. 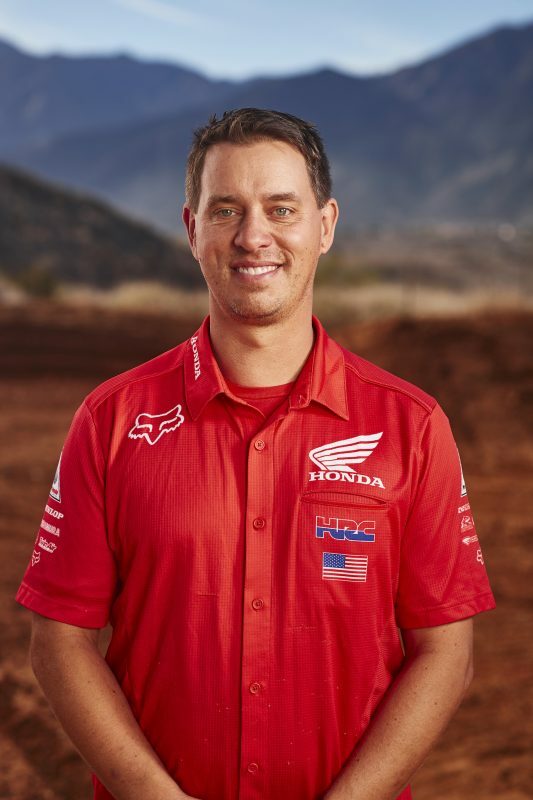 On race day, Team Honda HRC helped support the MX for Children organization, which raises money and awareness for hydrocephalus (the number-one cause of pediatric brain surgeries) while connecting local children’s hospitals with the motocross community. The team provided a group of fundraisers the opportunity to tour the inside of the technical truck. 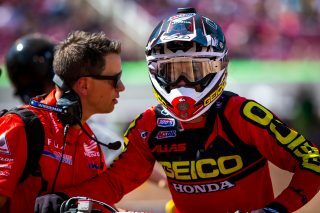 During daytime qualifying practice, Craig came out swinging aboard his CRF450R, securing an impressive 45.757” time (the sixth-fastest mark) in the day’s first session. 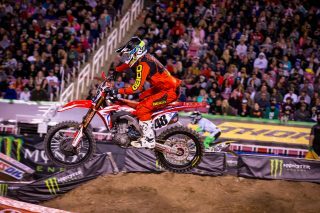 When the gate dropped on 450SX heat 1, Craig flinched off the start but still managed to come through the first rhythm section in fifth. 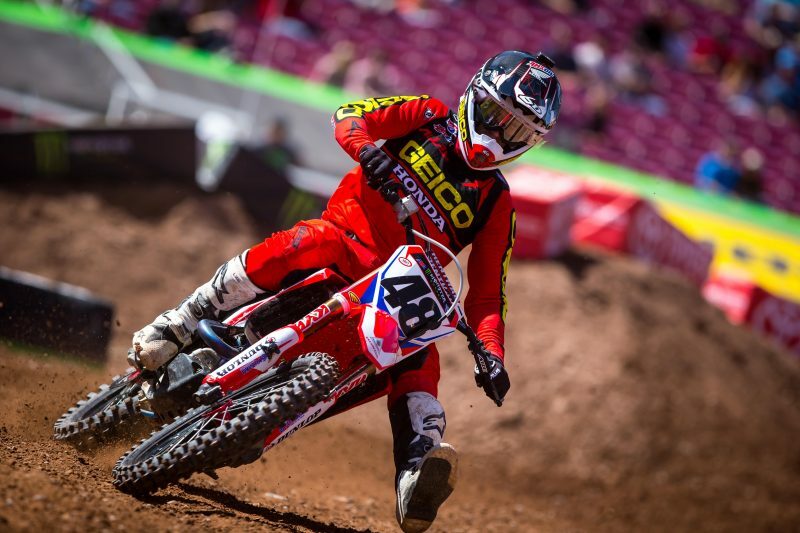 He relinquished several positions during the race, crossing the finish line in seventh and moving on to the semi. Craig got another slow start in semi 2 but came around the first turn in fourth, a position he maintained to the checkers, transferring him into the main event. This week, the Honda Red Riders head to East Rutherford, New Jersey, for round 16 at MetLife Stadium. On Friday, the riders will take part in a dealer appearance at Motorcycle Mall in Belleville, New Jersey, from 6-7:30 p.m. 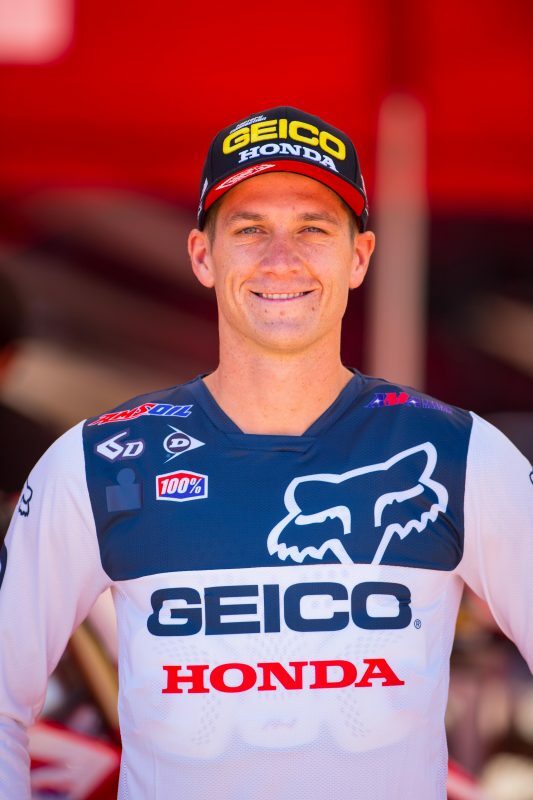 This past week, Team Honda HRC’s Ken Roczen returned to Vail, Colorado’s Steadman Clinic for the 11th and final surgery on his left arm, which was injured in a crash at Anaheim 2 on January 21. 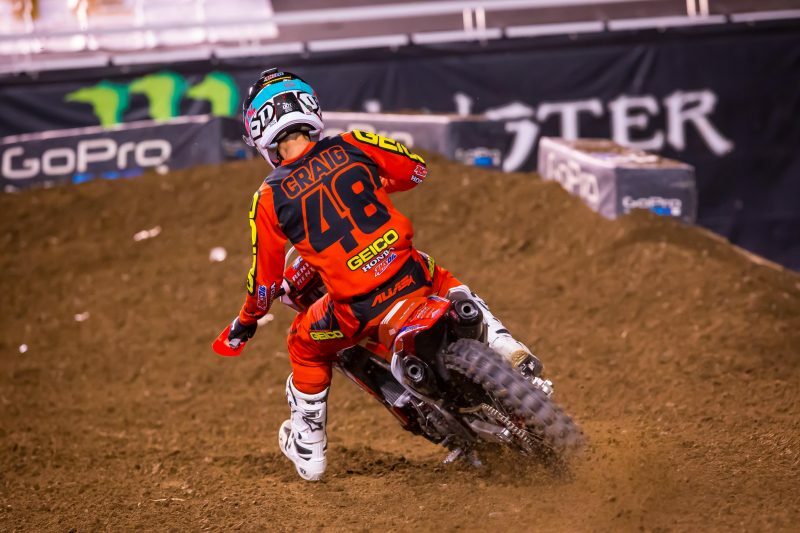 Over the course of several hours, Dr. Randall Viola inserted cadaver cartilage into Roczen’s elbow, a procedure that is expected to ultimately give the arm full range of motion. During the operation, Viola also spent time cleaning out scar tissue from the affected area. 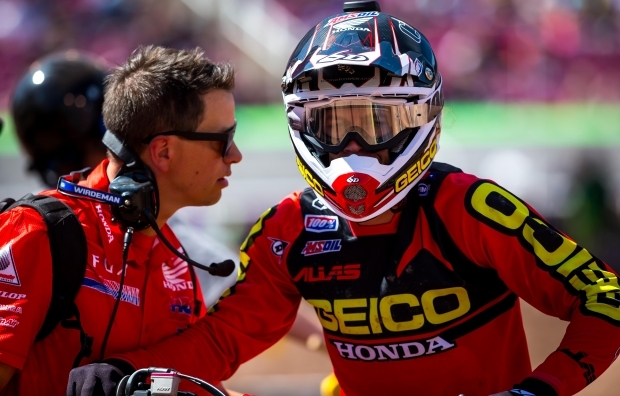 It’s estimated that Roczen’s arm should be able to bear weight within six to eight weeks. With the long surgery process finally behind him, Roczen will soon be traveling to his native Germany on vacation, and he will continue to do physical therapy during that trip. Today was a great experience. 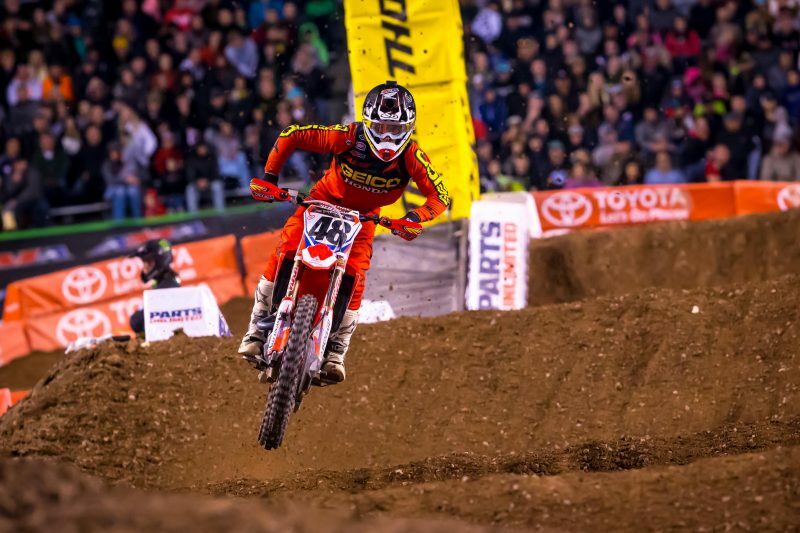 I didn't have huge expectations for tonight because I wasn't sure where I'd stack up to all these guys with it being my first 450 Supercross race other than Monster Energy Cup, but I had honestly hoped for a top 10. I qualified sixth in practice, which I was pretty happy with. I went into the heat and just rode tight the first couple laps, made some mistakes, and I think the nerves just got the best of me. I transferred out of the semi with a fourth. 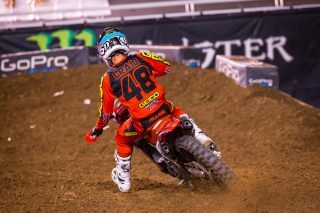 In the main, I got a bad start and just tried to make little passes here and there and take advantage of people's mistakes. With minimal time on the bike, I wasn't too far off my goal by finishing 11th. This was a good preview of what I can expect leading into the summer. 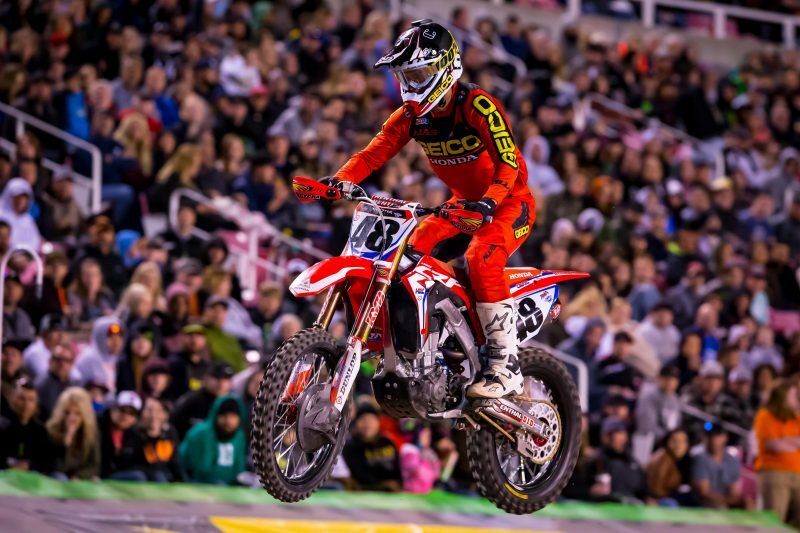 I'm excited for the opportunity that Honda has given me. Today was a good opportunity for Christian and me to work together and get comfortable before the summer. When you get used to working with a certain rider or mechanic, it can be an adjustment to have someone new around, so it was good to get a race under our belts. I think he rode pretty well today for the short amount of time he had on the bike. We need to dial in his starts and work on a few things, but it’ll all come together.